A fluidizer is a very specific type of industrial blender. They are still considered new to the American scene, though they have become considerably more popular over the past several decades. At first glance, the blender is similar to that of a ribbon blender. It’s when you open the lid that you notice the difference. There are specialized blades in all directions. The angle of the blades, as well as their short length, create a faster blend in comparison to the long and slow ribbons of a ribbon blender. This type of blender produces a countercurrent flow and the material is kept in the blending chamber. 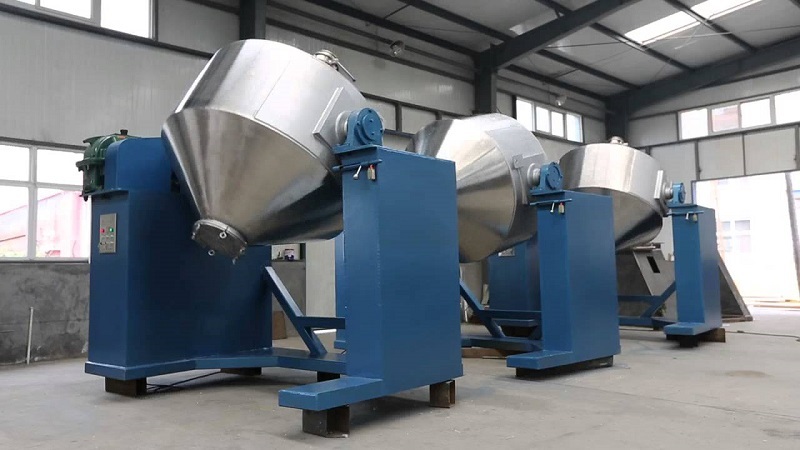 When a variable frequency drive is added, it allows the blender to work with the product similar to a paddle blender, only blending the product faster. In most applications, this blender is capable of outperforming paddle and ribbon-style blenders. You will have to decide how many cubic feet you need for your blender, ranging from five to 500 cubic feet. Standard features on the equipment include stainless steel backrests, overlapping seals on the lids, stainless steel lid handles, hinge safety grades, direct drive motors, as well as safety switches on the discharge and all lids. There are also optional features that you can choose from based on what you are working with. The blenders can be made with contact services that are food, pharmaceutical, or chemical grade. They can be constructed as standard, heavy, or extra heavy duty, too. Should you need holes in the lids for overhead hoppers or customized leg lengths, this can be achieved. Fluidizers have changed the way many industries work in terms of how they blend product. By inquiring about the benefits and the various available features, you may be able to take your operations to the next level.